Registration is now open and closes on April 30th, 2018. Space is limited so RESERVE yours now! Go to Global Academics | Travel & curriculum services for educators and at the top right hand corner of the home page click on "Register Here First." Be sure to read and follow all of the directions as you go. Belize is located in Central America, bordering Guatemala to the west, Mexico to the north, and the Caribbean Sea to the east. Belize is a small country with a population of over only 350,000+ people. 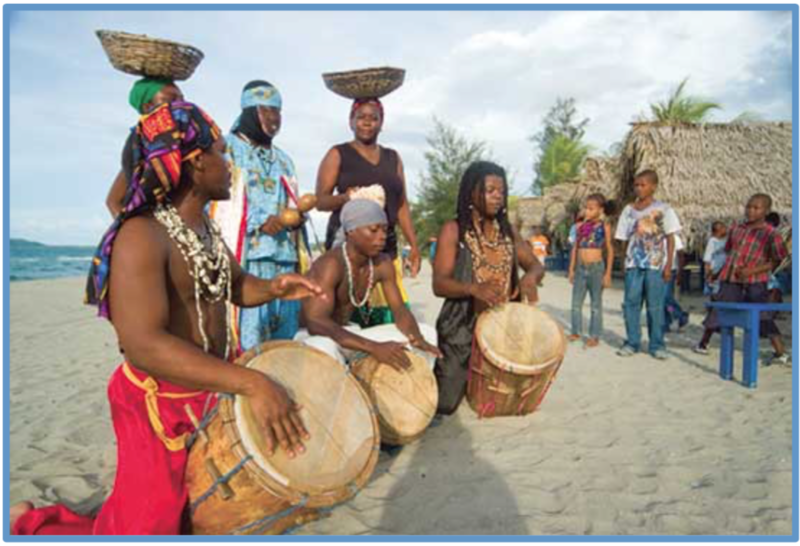 It has a multi-cultural society with a fascinating history that resulted in a population of African descendants called “Creoles” who are descendants of the enslaved, Garifuna who are African/Arawak people, thriving Mayan communities, Amish who came to Belize to live without harassment, an increasing migrant population from Guatemala and El Salvador, Chinese Belizean immigrants, and Europeans mostly descendants of the former English crown who colonized Belize in the 1700s. Belize became an independent nation in 1981. Belize is also popular amongst adventure travelers who snorkel/scuba dive because of the barrier reef off shore, which is the 2nd largest in the world. It is also known for its beautiful cayes, protected rain forests, the Mayan Mountain range, waterfalls, caves and more. $2,560.00 USD Per Person: Installment Plan- Pay overtime April 1, 2018 - October 1, 2018. Costs include double occupancy hotel accommodations in 4+ star hotels, all breakfasts and lunches, 3 dinners, New Years Celebration, all scheduled lectures/ museum/ tour entry fees, in-country bus transportation, tips and guides. Cost does not include RT airfare to and from Belize. Dr. Siri Brown is a Professor of African American Studies and District Administrator in Oakland, CA Dr. Brown with over 12 years of leading educational tours to the Black world. Visit Global Academics for more information on Dr. Brown or contact (510) 649-5664, [email protected] for inquiries.